January-June 2009 was a busy six months for Mary’s Cancer Kiddies (MCK) as we continued to provide financial support to help to cover the cost of treatment for children being treated for cancer at both “Dharmais” and Cipto hospitals in Jakarta as well as for premature babies and children with infectious diseases receiving care at Cipto hospital. This assistance was possible only because of the generous support MCK receives from individuals and organizations. Our sincere thanks to you all. Among the children for whom MCK provided financial assistance over the six months from January-June were 3 year old Nada and 10-year-old Siti Aisyah, both of whom are suffering from Ewing sarcoma, a type of bone or soft tissue cancer, and 15-year-old Rizki Rifalah, pictured with his mother, who has brain germinoma, a type of germ cell tumor. Demand for assistance looks set to rise due to the expansion of the children’s cancer ward that will more than double its capacity. While this will have implications for our costs we are delighted that the ward is going to be able to treat many more children – with the 15 beds currently available being supplemented by 17 more – particularly as there is almost always a waiting list for admission. Building work on the additional bed space is currently in process and is due for completion in September, with the new ward set to be up and running in October. August will see the arrival of Jane Peski, a pediatric oncology nurse from The Academic Medical Centre (AMC), the most prominent medical centre in the Netherlands and one of its largest hospitals. She will be conducting two week basic and advanced training programs at Dharmais Hospital for nurses from across the country. The case of baby Farida offers an example of the positive impact that MCKs assistance can provide to babies in need of urgent medical care. Farida was born premature, at just 37 weeks and weighing only 1560 grams. Upon birth she was found to have Gastroschisis, or abdominal hernia, an abdominal wall defect in which the intestines develop outside the abdomen through an opening in the abdominal wall. She needed an immediate operation to push the intestines back into the abdomen and seal the opening, but with her father working as a driver and earning just Rp. 600,000/month and without any form of insurance, her family had no chance of being able to cover the cost of the operation themselves. MCK was able to respond immediately to their request for assistance and the operation was conducted. Two weeks later Farida was stable enough to be moved out of the intensive care unit and within five weeks her parents were able to take her home. MCK is happy that so many of our supporters find time to visit the children in the wards we work with at Cipto and Dharmais. The photo below, shows Barbara and Heidi from Die Brucke along with six street children supported by Die Brucke who in turn, visit Cipto weekly to cuddle & feed babies in the ward. 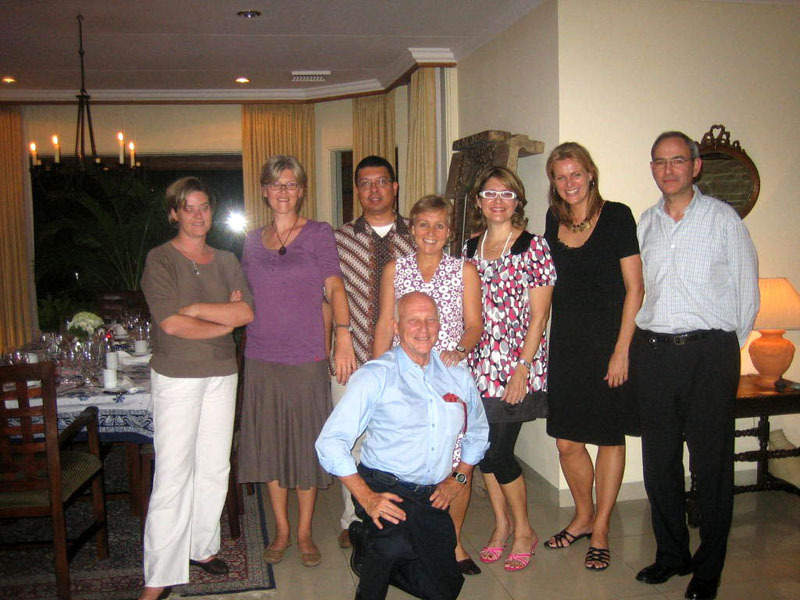 MCK volunteers were delighted to host a dinner recently for Professor Veerman, a pediatric oncologist from the Netherlands. Through a cancer foundation in the Netherlands, the Queen Wilhelmina Fund, Professor Veerman has been providing assistance to children’s oncology wards in Yogyakarta, Semarang, Medan and Manado. Dr. Edi Tehuteru from Dharmais Hospital, who has known Professor Veerman for some time, also joined the dinner. For the past four years, MCK has organized an outing to Ragunan Zoo in Jakarta to coincide with the annual zoo run organized by Jakarta Free Spirit. 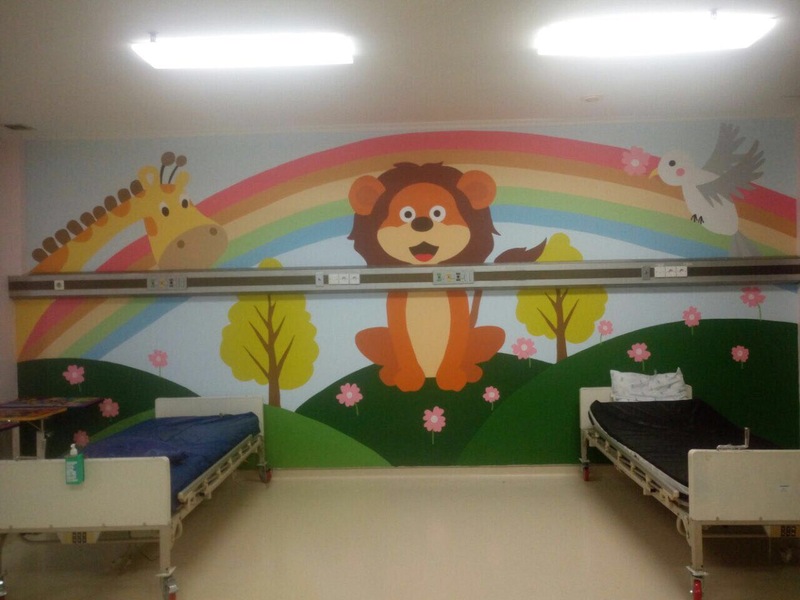 This represents a rare opportunity for children receiving treatment at “Dharmais” hospital to enjoy a day out with their families and has always been a popular event. This year was no exception, with the number of families joining being the highest yet: together with volunteers the MCK group numbered 115 people! Many thanks to everyone who came along and also to the organizers of the zoo run for their help and support. We were very sorry to have to say farewell to Astrid, an MCK volunteer for the past two years, who has recently returned to the Netherlands, but wish her and her family lots of luck and happiness in their new adventure. As the holiday season and year end approaches, Mary’s Cancer Kiddies (MCK) volunteers would like to say a special thank you to our generous supporters and to wish you and your families all the very best for 2009. Thanks to your help, we have been able to continue our work with children suffering from cancer and infectious diseases, and prematurely born babies. Working with children with cancer in any country is very grueling and in Indonesia, where children generally come in for treatment only after their cancer is well advanced and the prognosis is often consequently bleak, this is all the more true. 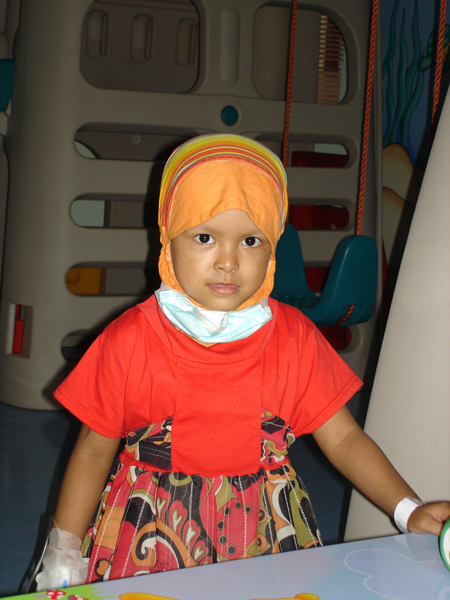 Sometimes, though, the least hopeful cases can surprise even the most experienced cancer specialists, as the case of six-year-old Siskawati demonstrates. When her family brought her in for treatment for a tumor on her retina a year ago her cancer was already stage IV, as the cancer had already spread to her brain, and her prognosis was very poor. Fortunately, even though her chances of survival were very slim, Siskawati’s family went ahead with the recommended treatment, including the removal of her eye and, after several cycles of chemotherapy, the cancer cells in her brain died. Today, little Siskawati is doing well and she is in the process of being fitted with a prosthetic eye funded by MCK, thanks to two of our generous supporters. MCK has also provided financial assistance to dozens of other children at Dharmais hospital. They include 14-year-old Rico, who was diagnosed with a brain tumour. Rico’s family had applied for financial assistance from the government insurance scheme for low income families, Askeskin, to cover the cost of his treatment, but the severe nature of his illness meant that treatment could not wait until the insurance cover was in place. The family sold their modest house in order to cover some of the treatment costs and MCK also provided assistance by paying for medicine and an MRI. The onerous cost of treatment not only causes families to go into chronic debt, it can also lead them to decide not to continue with treatment, with usually devastating consequences. One family whose son, Alfonsus, was diagnosed with cancer nearly did just that. Having struggled to pay for six chemotherapy treatments they had no funds left to cover the cost of the four remaining cycles of chemotherapy needed, and staff at the hospital feared that they may give up and decide to stop the treatment as a result. Fortunately, MCK was able to step in and offer support and Alfonsus went on to complete his treatment. At Cipto hospital many families face the same dilemma as those at Dharmais and MCK therefore works closely with the doctors and nurses to provide assistance to those most in need. Among the children who have received MCK support at Cipto hospital in recent months are 6-year-old Zaenab and 15-month-old Zaki, both suffering from Leukaemia, and 6-year-old Vina, who has a tumor on her retina. 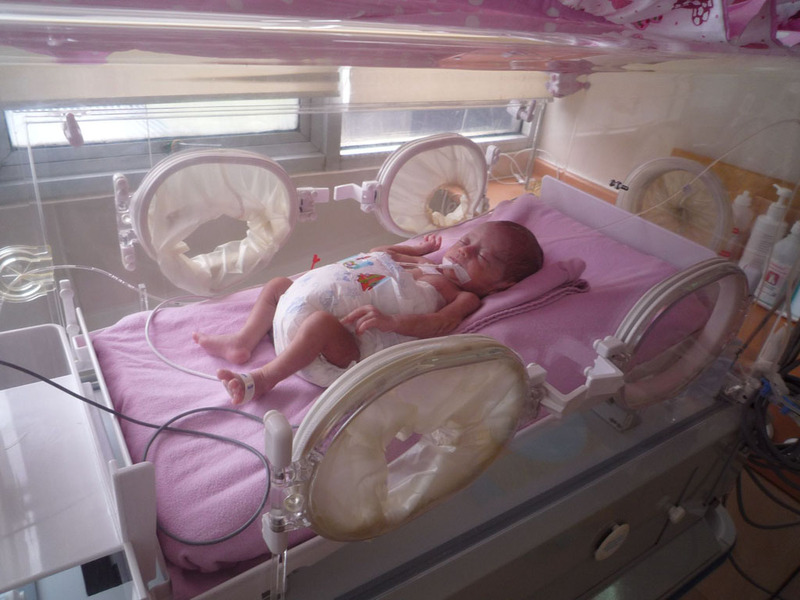 In recent months, MCK has provided support for hundreds of premature babies being treated in the neonatal ward at Cipto hospital. For the poorest families the unanticipated costs associated with the medical care needed for a premature baby are often overwhelming. In the most desperate cases, parents abandon their newly born infants at the hospital because they are unable to pay the bills. MCK continues to provide financial assistance for children in the infectious ward, many of whom are also suffering from malnutrition. The photo below shows doctors and nurses from the ward. While MCK would not be able to do the work we do without the money generously provided by our donors, MCK is delighted that their kindness so often also extends to taking the time to visit the children and show their concern for them and their families. JIS students have continued to pay visits the children’s cancer ward at Dharmais to spend time with the children and, in April, two of them joined Dan Roberts of Clowns without Borders/ Hidung Merah Circus to entertain them. British Women’s Association (BWA) volunteers have been regular visitors to Cipto hospital. The photo below shows two of them, Chris and Penny, preparing to give out to those undergoing treatment school bags, books and pencils donated by BIS students. For those of you who like pizza and would also like to contribute to the work of MCK, why not try a Priscilla pizza? For each one sold, Izzi Pizza donates Rp. 1,000 to the Priscilla Hall Memorial Foundation. The Foundation matches each Rp. 1,000 and the proceeds go to MCK. Don Hall, who runs the foundation set up in his daughter’s name, at the children’s cancer ward of Cipto, is pictured here with MCK volunteer, Julie, and two ward doctors. 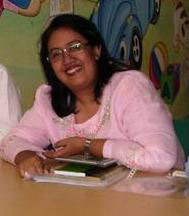 MCK volunteers were deeply saddened by the death in May of Nina, dedicated Dharmais hospital children’s cancer ward volunteer. She is much missed. Greetings once again from Mary’s Cancer Kiddies volunteers! Six months have gone by since our last newsletter. 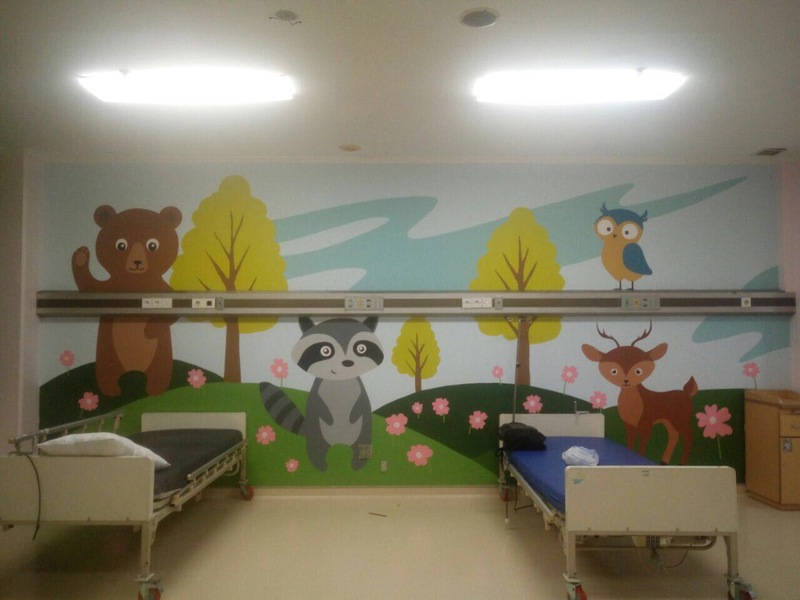 Our work with children suffering from cancer continues, and we include in this newsletter a summary of the assistance we have provided during this period. In this newsletter, though, we have decided to focus primarily on the support MCK has been providing to the infectious ward at Cipto hospital in Jakarta. 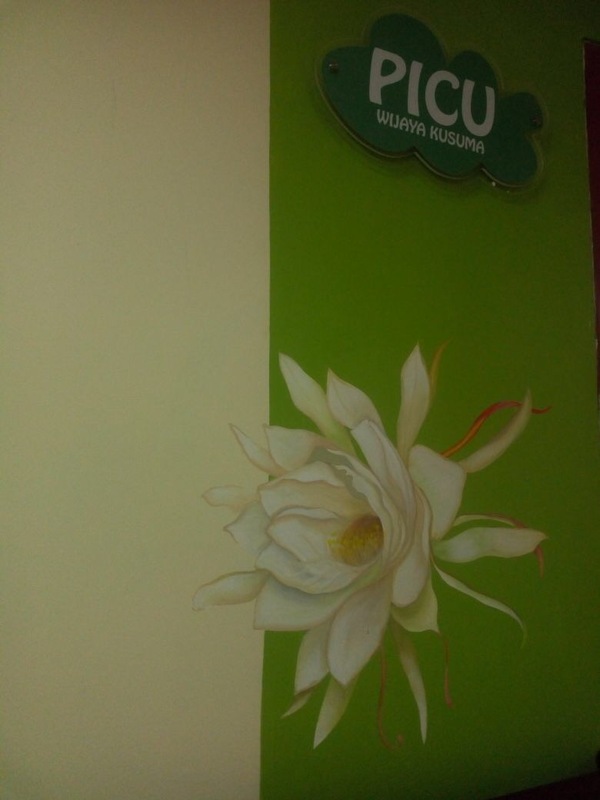 Our assistance to the infectious ward at Cipto hospital began in June 2007 in response to requests from doctors there. Funding for this support has been specially earmarked by the sponsor to provide modest financial assistance to cover one-off costs for children suffering from infectious diseases and other ailments other then cancer. Illnesses treated at the ward include tetanus, HIV, tuberculosis, acute diarrhea and malnutrition. Costs per diagnoses or treatment are on average Rp 90.000 (€ 7). The illnesses from which the children are suffering have often been made worse as a result of reluctance on the part of poor families to seek treatment, for fear of the high cost of doing so. Even those who are eligible to have their children’s costs covered often have to pay for initial treatments before the insurance scheme comes into effect, and this can cause considerable difficulties for families living on or close to the poverty line. MCK therefore covers costs of treatment for these children pending completion of necessary paperwork for the government insurance scheme. Among those MCK has assisted is Andrian, a three- month-old boy, who was brought into the hospital in late December with acute diarrhoea and prolonged fever due to a suspected urinary tract infection. He was also undernourished. During Andrian’s hospital stay, his father was unable to work — he is a motorcycle taxi driver – as he stayed with his son in the hospital while his wife stayed at home with their other child. The picture shows Andrian’s father keeping his son’s spirits up with a New Year paper trumpet. Nursiyifah, a four- month-old girl, was admitted on the last day of the year with acute diarrhoea, encephalitis due to suspected HIV, and a suspected urinary tract infection. MCK helped by covering the cost of several lab examinations as well as medication for this little girl. Raditya, a one-month-old baby girl came to the ward at the beginning of the year with anemia due to suspected iron deficiency. She also lacked immunization. Due to the long holiday break, her family were unable to get the costs covered by Askeskin insurance, so the necessary lab examinations and vaccinations were paid for by MCK. Good news for Jabal (eight years old) who recovered from a high fever due to sepsis and typhoid and was able to go home in January. MCK paid for his blood test and medicine. 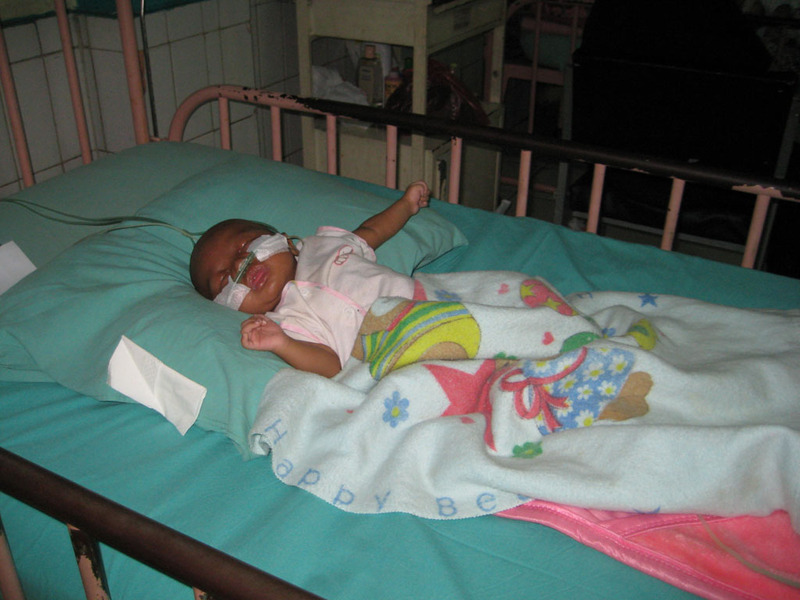 Valencia, a ten-month-old girl, came into the hospital with broncho-pneumonia and was also undernourished. While being treated, she had acute diarrhoea be-cause her mother was not using safe hygiene methods. The hospital therefore arranged for Valencia’s mother to receive advice on how to avoid this happening in future. Tia, 14, was in Cipto Hospital for two weeks for treatment of typhoid fever and a urinary tract infection in early January. MCK covered the cost of several lab examinations. MCK volunteer Astrid says goodbye and thank you to Dr. Elina, who prepared the donation reviews for the infectious ward during this period. 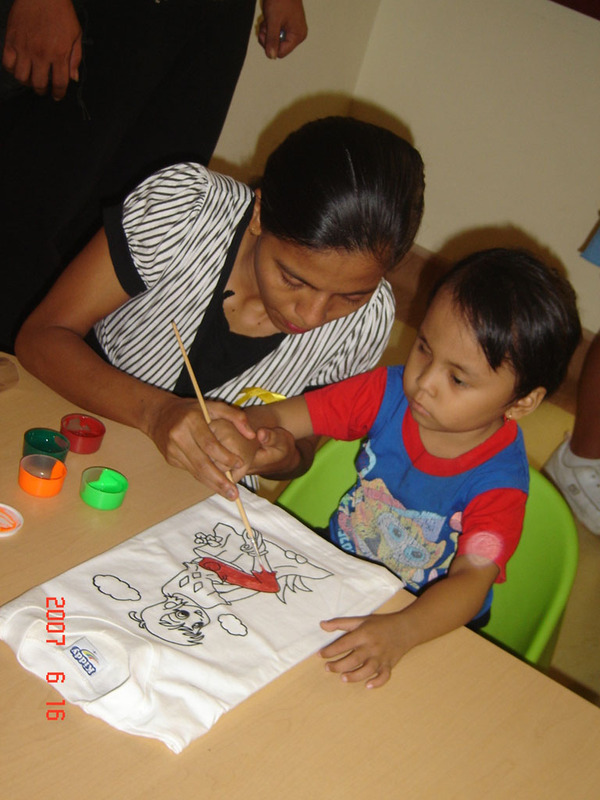 During the period October 2007-February 2008, MCK assisted in covering cancer treatments for 84 children, aged between 1 and 17 years old. 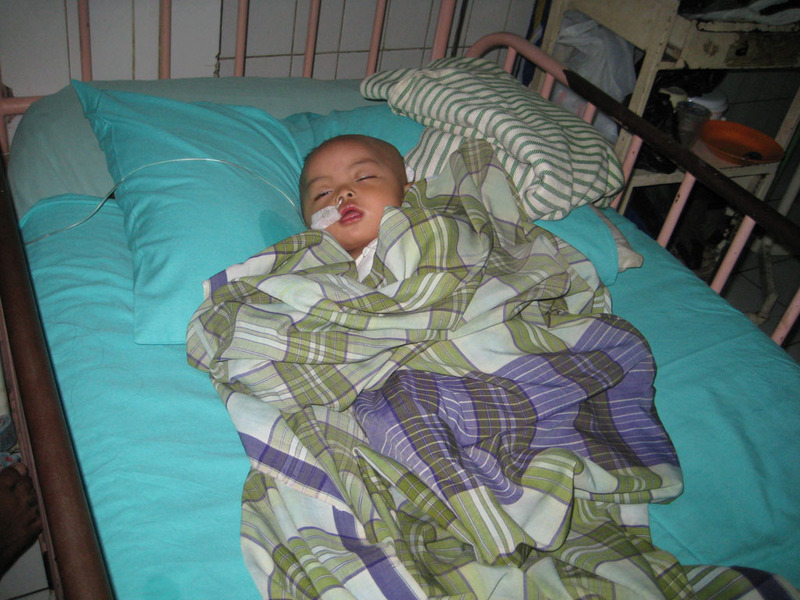 Among the children MCK helped were Ferdiansyah from Lampung who is suffering from malignant lymphoma. Most of Ferdi’s treatment is covered by the government’s Askeskin insurance scheme but some medicine prescribed by his doctor was not. MCK also paid for an MRI for 3-year-old Nurhidayah who suffers from embriyono carcinoma, and chemotherapy medicine for 16-year-old Farbianca who has malign lymphoma and whose government insurance scheme does not cover the medicine required. In February, seven children from JIS visited the children’s cancer ward at Dharmais Hospital to spend some time with the children there. They did a wonderful job of bringing smiles and laughter to the ward and the visit was a highlight for the sick children and their families. One of those who particularly enjoyed their visit was 14-year-old Anggun who was suffering from osteosarcoma (bone cancer) which had spread to her lungs. Sadly, Anggun passed away not long after their visit, but the JIS children helped make her final hours a little easier to bear. In January, the popular Kick Andy television program on Metro TV was recorded at Dharmais Hospital. The program discussed childhood cancer, including interviews with survivors of the illness including 11-year-old Abiyyu, whose treatment was supported by MCK. MCK has provided funding over the past five months to assist with treatment costs for 160 babies in the unit whose parents were unable to pay their bills.